Analytical Armadillo: Spotlight on Fenugreek - Does natural always equal safe? Spotlight on Fenugreek - Does natural always equal safe? There often seems to be an assumption that if something is derived from a plant or herb - it is safe, or at least safer than a pharmaceutical drug because it's natural. 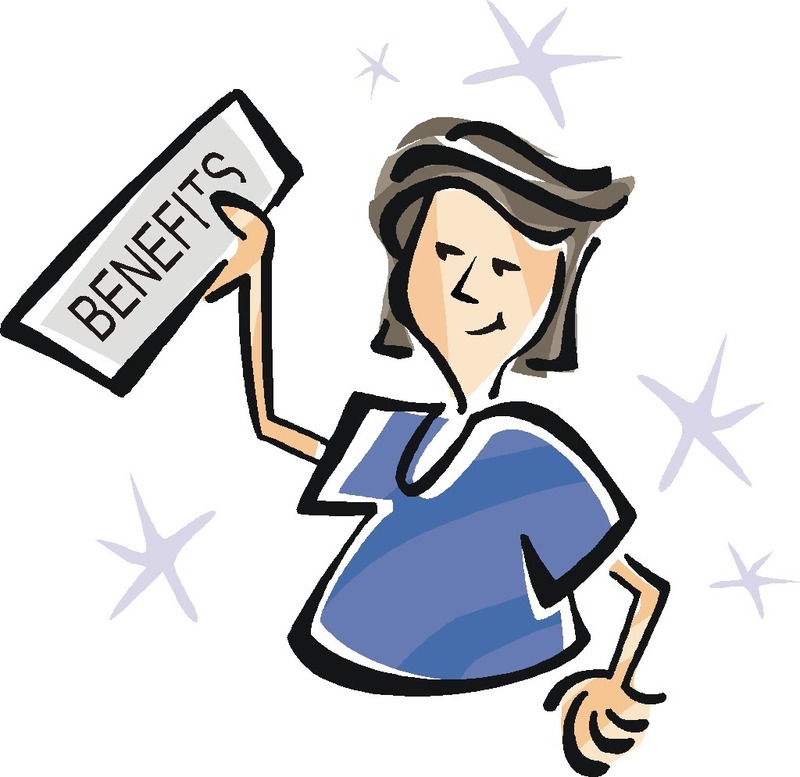 Often there is little consideration given to the side effects of a natural supplement, nor potential interaction with other prescribed medications. Galactogogues - something taken to try and help increase milk supply, seems to be one area where this is so. Many look to herbal options such as fenugreek, blessed thistle and goats rue, before considering a pharma drug such as domperidone (Motilium); with some suggesting it's better for parents to try the natural option before moving onto medicine. The trend also extends to the "mummy market" - breastfeeding teas and lactation cookies, some claiming to be miracle supply boosters (but more about that in a minute) can be purchased, containing the above ingredients. But is it really as clear cut as natural is good, pharma is bad? I thought I would start the "spotlight on" section with probably the most common UK galactagogue. Fenugreek has used both as a herb (the leaves) and as a spice (the seed) since ancient times. Some charred seeds have been dated as 4000 BCE and reports state desiccated seeds were also found in the tomb of Tutankhamen. 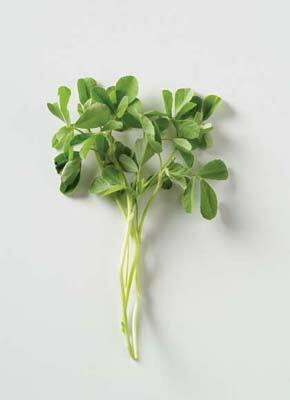 Fenugreek is a commonly used flavouring agent in curries, chutneys/pickles as well as sprouted and eaten as a salad. It is used as a dye and also medicinally in some areas; drinking a cup of fenugreek tea per day made from the leaves, is said to relieve the discomfort of arthritis and others report its effectiveness when applied to eczema (there are lots of other reported medical uses too from reducing cholesterol levels to relieving gastric discomfort). Something used in food is therefore bound to be safe as a supplement right? Perhaps, except that if we consider the tiny amount of fenugreek seeds that are in a chutney, or the small amount that is likely to be consumed in a curry - the benefits and potential side effects of fenugreek may be less pronounced than when it is used as an supplement. Fenugreek is on the U.S. Food and Drug Administration's GRAS list (Generally Recognized As Safe). As with most medications and herbs, various side effects have been noted; see the side effects and safety information below. Fenugreek has not been evaluated by the FDA for safety, effectiveness, or purity. Additionally, there are no regulated manufacturing standards in place for these compounds. 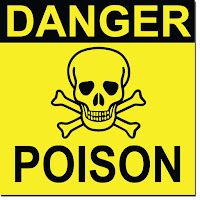 There have been instances where herbal/health supplements have been sold which were contaminated with toxic metals or other drugs. This makes sense - if it's a herb/spice regularly used in cooking, it's comparable to say turmeric in that it's a regularly consumed food and thus likely to be generally regarded as safe. Does that therefore mean supplementing with larger amounts of turmeric would have no side effects? The widely accepted daily dose for milk production is 3.5 - 7.3 grams capsule wise (3 x 3 capsules), or 3 teaspoons of seeds. Some websites state to buy Fenugreek from a specialised herbalist as the quality is better than chain store brands - but if nothing is tested or regulated, how does one begin to compare? Smaller doses, such as those provided with the supplement (typically 1 - 2.5 g per day) have not been found to be effective at increasing milk supply. As mentioned above in the kellymom quote - various side effects have been noted. "Do not take fenugreek without first talking to your doctor if you have a bleeding or blood clotting disorder or diabetes, or if you are taking any medicines to prevent or treat a blood clotting disorder or diabetes. Fenugreek has been reported to affect blood clotting and blood sugar levels. Also, talk to your doctor before taking fenugreek if you have any other medical conditions, if you take medicines or herbal/health supplements other than those previously listed, or if you suffer from allergies (especially to plants). Fenugreek may not be recommended in some situations.Do not take fenugreek supplements without first talking to your doctor if you are pregnant or planning a pregnancy. It is not known whether fenugreek will harm an unborn baby. The amount of fenugreek customarily used in foods is not reported to be problematic. Do not take fenugreek without first talking to your doctor if you are breast-feeding a baby." Blood Clotting: According to the Memorial Sloan-Kettering Cancer Center (MSKCC), fenugreek may increase the effectiveness of substances with blood-thinning properties. These substances include warfarin, heparin, ticlopidine and other platelet inhibitors and non-steroidal anti-inflammatory drugs such as aspirin and ibuprofen. Diabetes & Hypoglycemia: A couple of studies have demonstrated fenugreek can reduce blood glucose levels, increasing the risks of hypoglycemia in those susceptible. 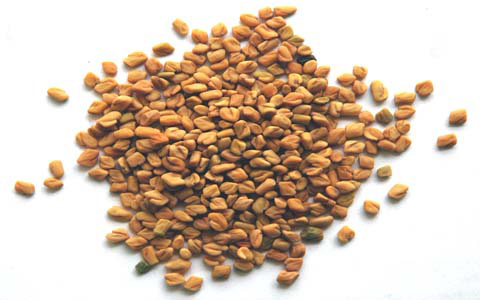 Asthma: Some mothers with asthma have reported fenugreek seeds aggravated their condition. In contrast others recommend as something to reduce asthma symptoms. Allergy: Numbness, facial swelling, breathing difficulty and fainting are likely a sign of an allergic reaction. Fenugreek is from the same family as peanuts and chickpeas - and therefore is more likely to provoke a reaction if you are allergic to these. "I was just told recently to stop taking fenugreek. I was told by an herbalist that fenugreek can counteract your thyroid condition and even make your symptoms worse. Funny because the day earlier I was in the Dr's office telling him I thought my Thyroid medication needed to be adjusted because I was feeling all the symptoms from before I had it removed. I take Levixyl and since I stopped fenugreek about a week ago, I am feeling better and in a better mood. My supply is up almost an ounce a day which is phenomenal for me." Some other side effects may occur such as headaches, dizziness, diarrhoea and wind when fenugreek is used at recommended doses. "Not only did it not boost the supply, but I found that it was affecting me and our 3 month old baby. I was having stomach cramps so bad I could barely walk ( not period pain, but actual stomach), I was thirsty all the time and having tension headaches. Our baby also suffered terrible stomach cramps and was generally restless. The fact sites my partner looked at confirmed that fenugreek was indeed the cause of our problems. I have now stopped taking it and things are starting to go back to normal. As a parent wanting the best for your child, you should have more of the facts and I sincerely hope these give you more. As a parenting wanting the best for my child, I did what I thought was something helpful and instead it was a nightmare." "The transfer of fenugreek into milk is unknown, but untoward effects have not been reported." Hale classifies it in Lactation Risk Category L3 (moderately safe). Does this mean we should all throw out the fenugreek and look to other galactagogues? Absolutely not! But we do need to recognise that just because something is natural, this does not make it risk free. When discussing supplements to help increase milk supply with mothers, we should like all other areas of support provide all the information so the mum can make an informed choice. Simply telling a mum to take fenugreek without making her aware of any potential link with blood sugars or possible interaction with other medication she may be taking/other conditions she may have is I think irresponsible. A diabetic mum absolutely may decide to explore fenugreek as something that can help with blood sugars as well as supply, but she needs to know that it has the potential to impact on her sugars so she can monitor/adjust insulin as required. If a mum is aware of potential side effects, she can identify them if they arise and choose to cease using the supplement - if not as we observe above, it can be upsetting to experience. With items such as cookies or tea, I've noticed contraindications and/or drug interactions are rarely noted. Nor do some state what dose of each herb or spice is within the product - therefore how can mum ensure she takes the right amount? It's one thing selling a tea or biscuit as tasty, but if you're going to claim it has milk inducing properties then you surely need to tell women how much to consume? ie minimum and maximum amounts for results? As discussed above below the recommended dose has been shown to have little impact on supply, too much could increase the risk of unwanted side effects. 3. East Mediterr Health J 2000;6:83-88. 4. J Altern Complement Med. 2011 Feb;17(2):139-42. Epub 2011 Jan 24.
i always prefer moms to take fenugreek as food. i sprout them and eat them regularly, and it takes out some of the smell. we should also remember that all the medicinal properties of fenugreek are also a GOOD thing. that it can help heal and balance situations. of course it needs the proper follow up. Tom Hale has done so much over the past 20 years to help women continue breastfeeding who would otherwise quit due to misinformation about pharmaceutical drug use while breastfeeding. But, when it comes to herbs, he often has many more concerns than he does about drugs. As much as I rely on his advice to help mothers taking meds, I never look to him for advice on herbs. I do not use feungreek anywhere near as much as other LCs do, and I am well aware of the risks to certain moms, but I do not see how anyone can justifiably consider domperidone an L1!!! There is too much unknown about its impact on the hypothalamus/pituitary axis and the thyroid. For now, I will continue to recommend a more synergistic use of multiple herbal galactogogues, while suggesting domperidone as a last resort. IMO, it is a far better choice that artificial feeding, but I do not consider it the harmless choice no many others do. I had really bad side effects from this nausea, diarrhea, bad mood and insomnia. I think I kept taking this because I did not put 2 and 2 together until after I stopped breast feeding. I looking at when I stared this product, when I started feeling sick and when I stopped and when I started feeling better.